After graduating Emory University with a Bachelor of Arts degree, Marc earned a Master’s degree from Catholic University. While studying in Washington, D.C., Marc was honored with an internship in President Carter’s White House, and he was quickly promoted in its Office of Public Liaison, working directly for Margaret “Midge” Costanza, the first woman Assistant to the President. Experiences there, and encouragement from White House staff, led Marc to law school, also at Emory. Marc next served as a law clerk for the Honorable Edward S. Northrop, Chief Judge of the United States District Court for the District of Maryland. He then joined Whiteford, Taylor & Preston and became a partner in 6 years. Although he was extremely successful as a “defense” attorney, Marc developed a practice representing plaintiffs, and after being appointed liaison counsel for the victims of a tragic railroad accident in Maryland in which 16 people were killed and more than 100 others were injured, he and his colleagues negotiated what was then the largest recovery in history for victims of this type of occurrence. This experience, in turn, led to his representation of the flight crew that was lost in Pan Am Flight 103, and again he and his colleagues achieved historic recoveries. Marc opened his own law practice in 1990 and has recovered hundreds of millions of dollars for his clients in a wide variety of cases, including medical malpractice, commercial litigation, vehicular accidents, product liability, premises liability, and securities litigation. He is known for his preparedness, his ability to recall facts and cross-examine witnesses, his in depth knowledge of the law, and his ability to communicate with judges and jurors. Most important, Marc and his staff understand the devastating effects injuries and wrongdoing can have on families and businesses, and they are driven to achieve results even in the face of tremendous challenges. They are willing to take on the world’s largest corporations and insurance companies and they do the hard work that is required to win. 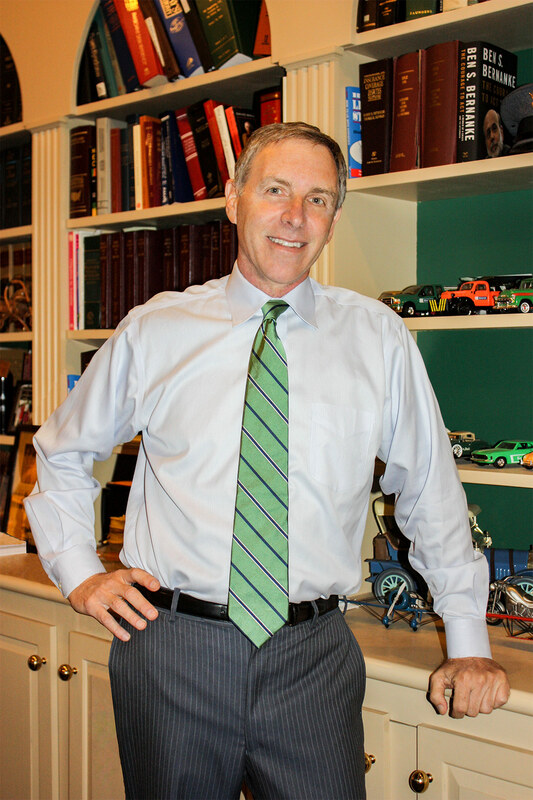 Marc has authored significant publications geared toward instructing other lawyers in handling difficult cases, including “Trying the Wrongful Death Case in Maryland: Strategies in Preparation and Valuation,” and “Insurance Coverage and Claims – Good Faith/Bad Faith.” He guest lectures at law schools every year on trial tactics and securities arbitration. Marc is a member of many legal organizations, including PIABA, the Public Investors Arbitration Bar Association, which is dedicated to the recovery of funds from brokers and brokerages who mishandle securities investments. Marc also consults with local news organizations on matters involving the law, regularly appearing on the news when significant events transpire, particularly tragedies in aviation and on our nation’s railway systems. A parent of four children and a lover of animals, Marc is an avid equestrian, and can often be found horseback riding wherever there are trails, fresh air, and challenges.